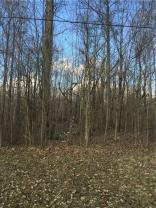 Wooded lot measures 75 feet wide by 200 feet long. The lot requires no mowing. When the owner of this lot will have full Lake Santee privileges. Docking space is available at designated lake access lots.